if you're in the mood ;-) , another annoying problem. With many entries in the band map, you have to scroll up to get to the beginning of the band. Unfortunately the window scrolls down with each new entry. It would be better if the window would hold the upper scroll position. There is already an older entry for this behavior. If I remember right when you slide bandmap up with slider it stays at the point you have selected even when new lines appear. I'm not absolutely sure about that as I have used now long time setting ""show only active band" and I have filters at dxcluster that limits spots only from EU origin. That way I seldom have need to scroll Band map. I will look that some day. That wasn't exactly described by me. Does the slider also stop when you click on a call and take it into the "New QSO" window or if you set the focus on another window? Is it possible to define filters in the RBN Telnet? I use also "show only active band" setting, but the Bandmap entries are very high when using the RBN without a filter. find call to pick up. yes, that, like many other things, always depends on the individual perspective. 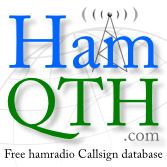 For me, the bandmap is there to select calls and transfer them to the "New QSO" window. If the beginning of the band is observed in the bandmap, you will also take single calls from there. So it seems logical to me that the bandmap stays in the area you want to watch, no matter on which window the focus is. Otherwise I don't need the bandmap and can also directly observe a DX cluster or the RBN in a browser. I think it's important for every software to have different views on each detail. Whether and how this is incorporated into the software is ultimately up to the programmer to decide.